Did you know that having a working smoke alarm in your residence decreases your chances of dying in a house fire by 50% percent? Yet, thousands of seniors throughout San Diego County live in homes without a working smoke alarm. Throughout the year, the Burn Institute, community volunteers and members of the fire service take part in a collaborative effort to install FREE lifesaving smoke alarms for qualified seniors in San Diego County. 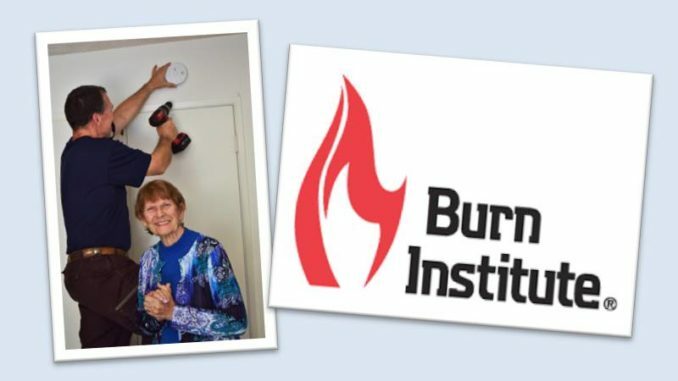 To qualify for the Burn Institute’s Senior Smoke Alarm Program, seniors must be 62 years or older, own their own home and live within San Diego County. Each year, the Burn Institute provides fire and burn prevention education in both English and Spanish to thousands of children and adults. Programs and materials are available at no charge to schools, businesses, service clubs, senior citizen groups, childcare classes and parent groups. The Burn Institute publishes a monthly e-newsletter which offers educational fire and burn prevention information and the latest news on special events and Burn Institute programs.